It’s been another busy first quarter here at the Swauk-Teanaway Grange! 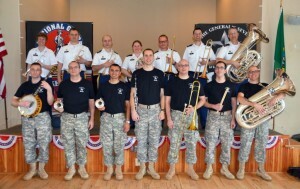 In January we installed our 2014 officers in a program developed by outgoing Lecturer Bev Allenbaugh. See page 4 for the full slate of officers. Thank you to everyone willing to serve, your work is vital to the vitality of this Grange. 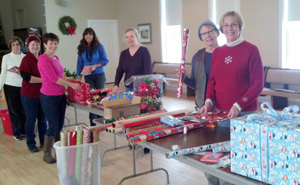 February and March were particularly busy in preparing for Fundraisers. Our Scholarship Fundraising Dinner was held on February 8 and our Dinner and Fundraising Auction was held March 8. 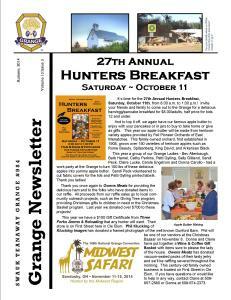 Both of these events took hours of planning by dedicated Grange members and both were very successful. Not only did they bring in the dollars needed to accomplish the set goals, new members were enthused about joining our Grange. We received 14 new member applications this quarter! That’s something to be proud of. In an age when membership in fraternal organizations is in decline, we have been fortunate to attract new members and most important, members that want to be part of our community and want to lend a hand. These new members have pitched in to help from the start. 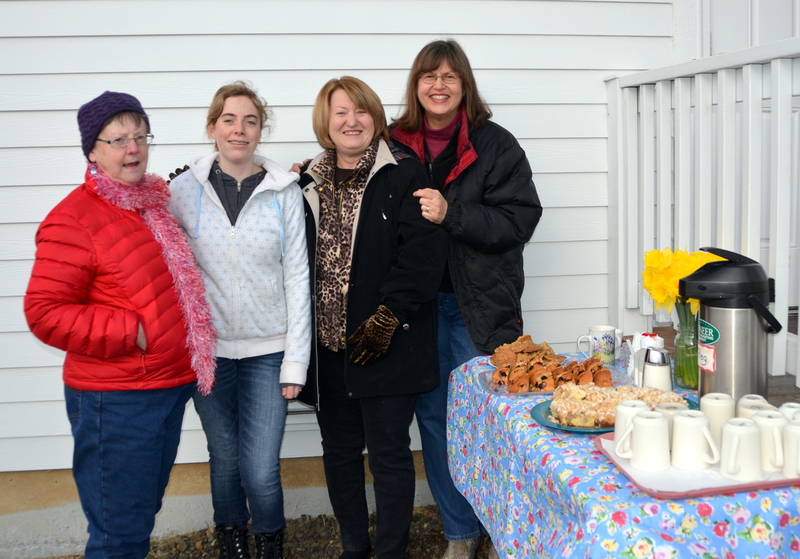 They’ve been an important part of the work force needed at both fundraisers as well as a great kitchen crew at the Chili Cook Off on March 22. It’s been encouraging to see chairs of various events reach out to new members asking for their help. Being asked to help is a great way to keep members involved. To make reaching out to each other easier, I have created a simplified version of the Membership Directory in Word format which I am happy to send to those who are interested. I am working on having this available on our website through a password-protected sign-in. If you haven’t been to the website lately, check it out at: www.SwaukTeanawayGrange.com and friend us on Facebook. The 2nd quarter of 2014 has been a busy one for my husband Kurt and I. We spent the month of May on the Big Island of Hawaii, a place we absolutely love. Upon our return we launched into an addition on our home in Hidden Valley that will keep us busy for the next year. 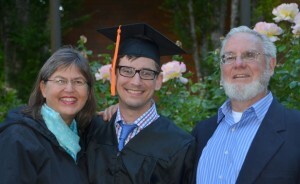 Mid-June our son Adam graduated from Oregon State University with a BS in Civil Engineering. He and his wife Claire just moved to Seattle where he commutes to Boeing in Everett and she works downtown for the Seattle Audubon Society. Next month our daughter Jenny and her husband Josh and our two young grandsons, will move to Ellensburg from Eugene, OR. We are so looking forward to being more involved in the lives of those little boys! Yes, there is a lot going on in the Lucke family this summer! Because of all of this activity, I had to miss the May and June Grange business meetings. I am so thankful to VP Carel Edgerly for being there to run the meetings, to Secretary Gerry Lloyd for her accurate minutes that have kept me up to date on what went on at the meetings, to Treasurer Joyce Dunbar who has made sure the bills got paid, and to everyone who turned out to vote on the necessary business of the Grange. I want to also thank Dennis Giannotti who not only mows the grass at the Grange every Thursday, but who keeps the grounds looking top notch. Kudos also to Bill Lloyd who has kept the grass watered so that it looks its best for the weekend hall rentals. 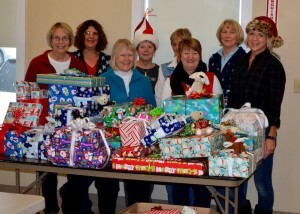 Swauk-Teanaway Grange is fortunate to have dedicated members who care about this wonderful organization. Thank you all for your enthusiastic participation! Happy New Year! 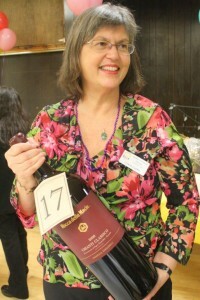 2012 was a busy year here at Swauk-Teanaway Grange. Our Grange Hall has been the site of meetings for Boy Scouts, Hunter Safety Classes, and 4-H. A local theater group put on a play at the hall in May. Two $1,000 scholarships were awarded to high school seniors this year. Our Grange is home to a local bluegrass jam and a square dance club. Monthly potluck events bring our community together and provide entertainment for all ages. Our Candidate Forums provide a way for voters to make informed decisions. Seven weddings were held at our hall in 2012, providing a beautiful setting for these young people as they begin their lives together. At our October business meeting, we voted to use money from the raffle sales at the Hunters Breakfast to provide Christmas gifts for needy upper county children through the Giving Tree program. Additional donations more than doubled those funds, which, so we were able to provide Christmas gifts for 15 children, making their Christmas a lot brighter. Auxiliary members did the shopping and wrapping, and the gifts were taken to the Cle Elum Sterling Savings Bank the week before Christmas. We were also able to assist a local family struggling with medical and financial challenges with a grocery gift card. Without your help, we could not accomplish all of these good things. Thank you to Donna Carollo for organizing this outreach project. 2013 will bring even more opportunities for our Grange to shine! Happy New Year! Every year just seems to get busier here at Swauk-Teanaway Grange! Our enhanced website got us lots of attention and kept our hall booked solid through October with twice as many rentals as 2012! This brings much need revenue to pay our bills and keep our hall maintained. Speaking of maintenance, in June a crew headed by Dale Rusho sanded and refinished our maple floors, an effort that saved us several thousand dollars. Grange members and square dancers put hours in bringing the shine back to our wood floors! Thank you Dale, Kurt Lucke, Gene Muren and Manord Rucker. A big thank you to Kurt for fertilizing and spreading weed killer on the grassy area where outdoor weddings are held. Many thanks to Rick Hermanson for fabricating the ductwork for the basement furnace, and for helping Kurt install it! Thanks to a generous donation from friends Terry & Patty Fike we were able to add a beautiful new commercial dishwasher to our Grange Kitchen! Gerald Carollo researched which model to buy and did the complex installation late in November. Thank you also to Kurt and Gordon Dudley for assisting to complete the work. Yahoo! A load of dishes can now be sanitized in under 3 minutes! At our October business meeting, we voted to use money from the raffle sales at the Hunters Breakfast to provide Christmas gifts for needy upper county children through the Giving Tree program. Additional donations more than doubled those funds, which, so we were able to provide Christmas gifts for 18 children, making their Christmas a lot brighter. Thank you to Julie Hermanson who with the help of Donna Carollo organized this outreach project and to all the members who shopped and donated additional dollars to make children’s dreams come true! The first quarter of 2013 was busier than usual at our Grange. In late January we worked on painting a barn quilt for our neighbor Chuck & Bev Ballard’s barn. The Ballard family donated the land our Grange is on and this was a nice way of thanking them. The first weekend in February was the date for our annual Scholarship Dinner and a great team of volunteers put together a lovely event that was a grand success. Then a creative group of Grange members designed and painted a quilt block for our hall, which was raised on March 13, followed by our 5th annual Chili Cook Off & Cowboy Concert on March 16. 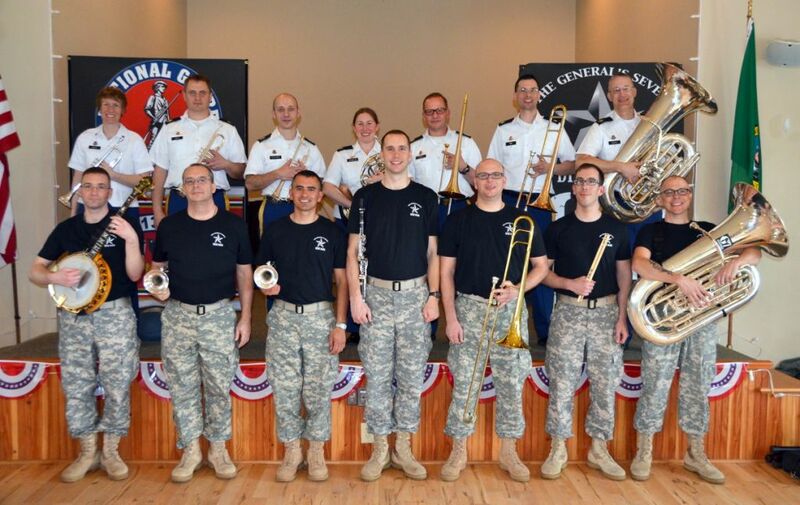 Planning is going on for the Army Band Concert scheduled for April 13 and for the Food Booth we will have at the Kittitas Valley Event Center’s Manastash Room for the weekend of the 1st Central WA Quilt Show and Barn Quilt Trail Dedication, April 27 and 28. Meantime, our Building & Grounds volunteers are working on a plan to sand and refinish our maple floors in early June and the installation of a donated furnace in the basement to quickly take the chill off that area when we have two groups using the hall. We also did a total re-design and update on our Grange website, check it out at: www.SwaukTeanawayGrange.com. When you add up the hours it takes to accomplish all of this, you realize how important our members who volunteer their time are. People are attracted to our Grange because of all we do in our community; but that work won’t continue to get done unless we have increased participation by our members. We don’t want to burn out our active members, we don’t want our Grange to become a place where the phrase “Same Ten People” applies. For instance, we did not have a quorum at our March business meeting. Why is that? We have 135 members, but we didn’t have the necessary 8 people present to enable us to vote on important decisions such as paying our bills, accepting new members and deciding how we should get involved in providing information on the PacifiClean project targeted for Elk Heights. Dear fellow Grange members, I ask you to please consider becoming a more active participant in the Swauk-Teanaway Grange. Please volunteer your time helping out at an event or fundraiser, or with a project like the floor refinishing. Just as important, set aside 1 – 2 hours the second Friday of the month, from 1-3:00 pm to meet and be part of the decision making that happens at our Grange. We want you to be an active part of this grass-roots community organization, WE NEED YOU! June was a busy month at our Grange. Dale Rusho put together a team of volunteers to sand and refinish our hall’s maple floors early in the month and they did a grand job! Thank you to Kurt Lucke, Maynard Rucker and Gene Muren for your hard work and to Dean Evans for providing the material used on the floors at a great savings. And thank you to Sally Gililand for bringing lunch for the guys, it was much appreciated! Most especially we want to thank Dale. He spent many hours up at the hall and his planning and hard work saved us over $2,000! Also in June, Kurt and I travelled to Ocean Shores to represent Swauk-Teanaway at the annual WA State Grange Convention. One thing I was really proud of was that our Grange submitted a resolution this year, the first in several years, and it was adopted by the delegates! We received an award for new members gained in 2012 and we won a Kindle Fire HD in a raffle sponsored by the state Membership Committee. As you can see from the photo above, we were a colorful group! The last three months have been busy, both in my private life and the life of the Swauk-Teanaway Grange. 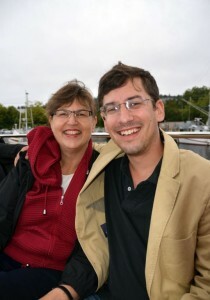 My son, Adam, and fiancée Claire Catania were married September 15 at the DAR Chapter House in Seattle. It was an incredibly happy day as family and friends gathered to celebrate with them as they began their married life. We have so many great memories from that weekend. We are thankful that both our children have found such loving partners. Life doesn’t get any better! I am also thankful for the role our Grange is playing in the community. It’s exciting to have events such as the Teanaway Community Forest Celebration held at our hall. It was just a few years ago that open meetings were held here regarding the proposed development of 50,000 acres of Teanaway forest land by American Forest Land Company owner John Rudey. It’s hard to believe that just four years later this land is protected from development. The Washington State Department of Natural Resources will manage this acreage in collaboration with the Washington Departmentt of Fish and Wildlife. DNR and WDFW are establishing a community advisory committee to help guide development of a management plan for the forest. Interested persons can receive updates about the plan and information about ways to get involved by subscribing to the Teanaway Community Forest e-newsletter at: www.dnr.wa.gov/BusinessPermits/Topics/OtherLandTransactions/Pages/amp_teanaway.aspx. Acquisition of the property is a key step in implementing the Yakima Basin Integrated Plan, an initiative developed by a coalition of public and private organizations to safeguard the basin’s water supply, restore fisheries, conserve habitat, preserve working lands, and enhance recreational opportunities. In chatting with Peter Goldmark, Commissioner of Public Lands, I was congratulated on keeping our Grange alive and a vital part of our community. That congratulations should be shared with each one of you who makes possible all that we do in this special place. Members & Friends – Share Your News!